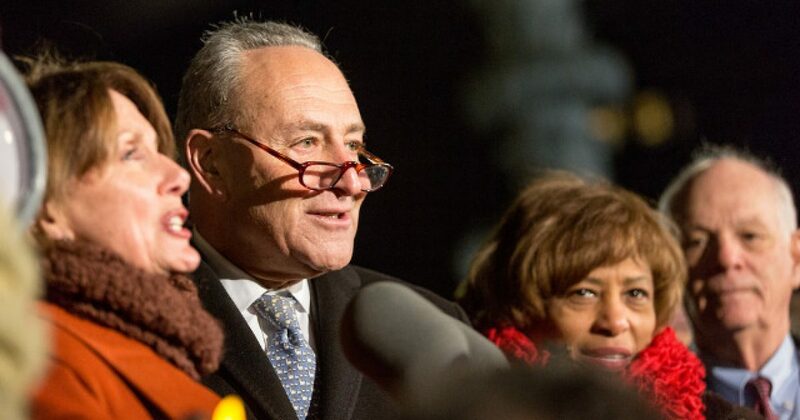 Chuck Schumer Waves White Flag in Border Wall "Meme Wars"
Chuck Schumer really doesn’t get it, does he? As the world around our federal government changes, we are often saddled with older and more traditional politicians who don’t quite mesh with the average demographic of the American people. On the left side of the aisle, that’s more true than ever these days as Nancy Pelosi and Chuck Schumer begin their congressional reigns again in 2019. Pelosi, who is famous for her either real or imagined senility, has been caught on camera mumbling, misspeaking, and completely botching her own message in innumerable now-viral videos. Her speaking issues have been so bad as of late that her own daughter appeared on television recently to shore up support for the again House Speaker. Now, Chuck Schumer is demonstrating just how far out of touch he is as well, displaying his dismay at the current state of affairs on the internet. Trump shared a Game of Thrones-style image on his social media accounts Thursday, announcing his intention to build the border wall despite opposition from Democrats. The bottom of the image depicted the president’s ideal “steel slats” barrier for the proposed wall along the U.S. southern border. Of course, what Chuck is really saying is that he’d rather not see how We The People truly feel. It’s obvious that Donald Trump isn’t creating these images himself, rather, he is cultivating them from the plethora of border wall supporters around the nation. Schumer’s inability, (or unwillingness), to recognize that his party is out of sync with the American public is what we’ve had enough of.